Another hot non logo style from the VG brand! This item has a classy metal design on the temples and the frame shape is semi rectangular. 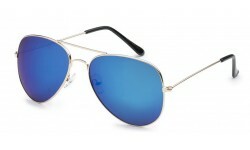 The best feature on this fashion style for women is that it comes in a Polarized lens!